Welcome to my first post (or blog) on my brand new website. I made a recent decision to rebrand my mobile disco business, and whilst www.groovetraindisco.co.uk will still be up and running, this is the place for my specialist Wedding DJ Service. 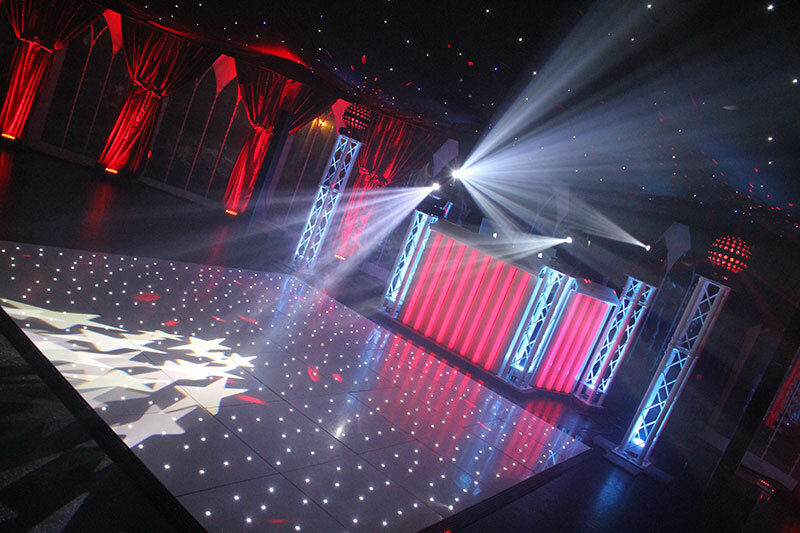 The photograph shows a recent wedding reception at Westenhanger Castle – a magnificent venue with a spectacular marquee that blends perfectly with my stunning white DJ equipment and sparkly white dance floor. Additional colour changing venue mood lighting matching the brides colour scheme is an extra finishing touch.